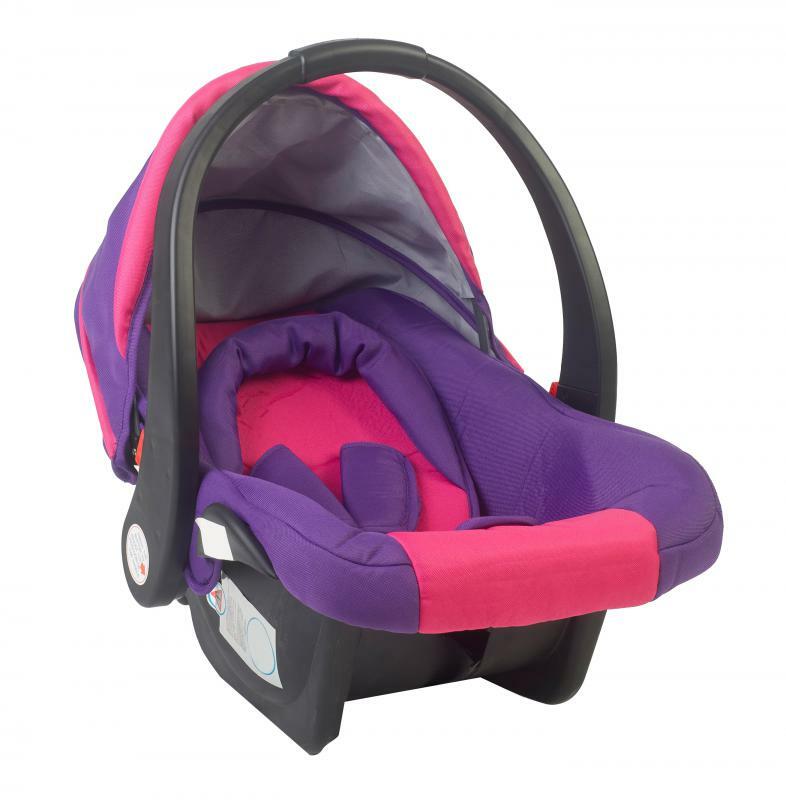 How Do I Choose the Best Car Seat Carrier? Car seat strollers and carriers are often designed for use with infant car seats. A car seat carrier allows a parent to take the car seat out of a vehicle and place it in a frame that is often mounted on wheels so the combined unit can be used as a stroller. Choosing the best car seat carrier starts with researching the different models available and noting the functionality of the unit as well as the cost. It is important to consider how you are most likely to use the unit — for example, you will probably choose a different stroller if you will be running for exercise with the stroller unit than you will if you are simply walking through town. Portability is an important aspect of any car seat carrier. The unit should fold up easily for storage in the trunk of the car when not in use, and it should unfold quickly and easily for use when necessary. Make sure the car seat carrier is light weight so you can lift it into and out of the trunk easily, and more importantly, make sure the unit is stable enough for the kind of use you will put it toward. The car seat itself should fit into the car seat carrier tightly so the two units essentially work as one. The carrier should feature wheels that are large enough to handle cracks in pavement or even light off road use, but small enough to be lightweight and compact. Be sure to research the different types of wheels available for car seat carrier models and choose the one that will fit your purposes best. The frame should lock into place when in use, and the car seat itself should feature straps that secure the child into the car seat during use, even when the seat is not mounted in the car. The child's safety is more important than any other aspect of the carrier, so examine all safety features carefully. Buying a car seat carrier that features an awning is a good idea for protecting the child on sunny days. The awning should be retractable, lightweight, and durable, and it should be thick enough to block direct sunlight. This awning will not only protect the child from direct sunlight, but also provide a shady, cool spot that will allow the child to sleep comfortably. Make sure any carrying arms the car seat features works regardless of the position of the awning for safety and convenience. How do I Choose the Best Airplane Car Seat? How do I Check for Car Seat Compatibility? How do I Choose the Best Pet Car Seat? How do I Choose the Best Car Seat Stroller? How do I Choose the Best Infant Car Seat?